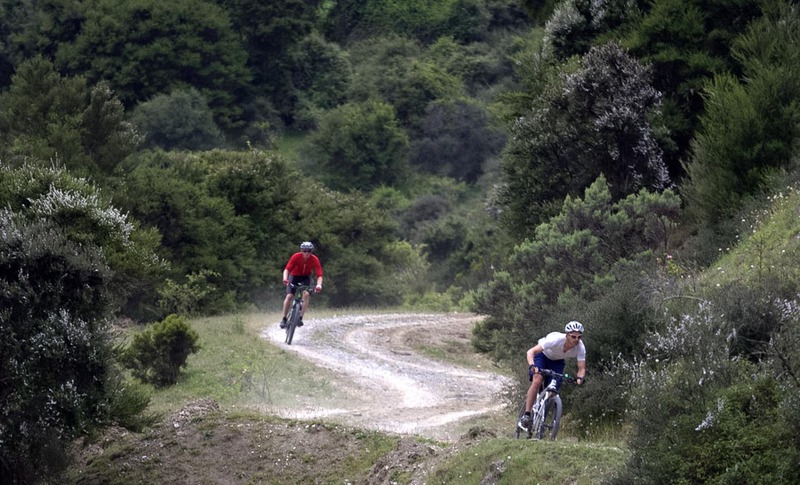 Marlborough has some of the most remote, untouched terrain in the country – great for those who want to get off the beaten track. However, being private land, this wonderful landscape is not always easy to access. 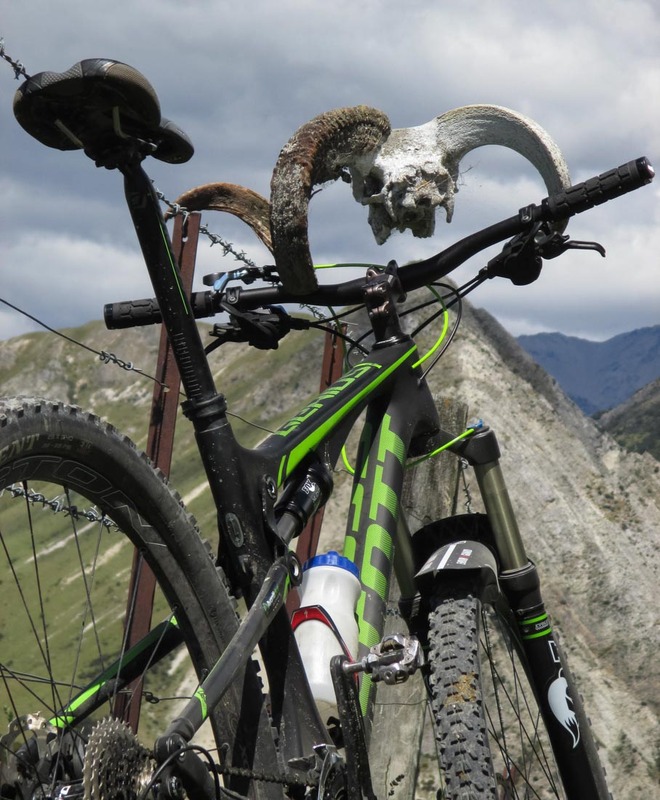 Keen cyclists like myself often yearn to pedal such intriguing back country; to discover what’s beyond that rocky ridgeline, to explore that secluded valley. I found the perfect way to experience the road-less-travelled on a Driftwood Eco Tours Cycle Safari. I’ve often longed to get close to the mysterious Mt Tapue-o-Uenuku so I jumped at the chance to sample Driftwood’s ‘Demise of the Dinosaur’ tour. Our hosts, Will & Vix (Vix is a wonderfully personable Jack Russell) drove us inland from Kekerengu, through Bluff Station to a point in the road of our choosing. The further we journeyed from the coast, the greater the feeling of isolation, the deeper the sense that we were entering a land trodden by very few. We were definitely way off the tourist trail. At the top of a long ascent we asked Will to stop the van. What better way to start the ride than on a screaming downhill? Bypassing the long pedal up felt like cheating, but I certainly didn’t let it bother me for long. It was great to listen to the silence and take in the wide expanse beneath gliding hawks and mountainous peaks. But what was even better was throwing all our luggage into the van. Normally we carry loads of supplies with us on the bike, so it was an absolute luxury to dispense with all that weight. I could see myself getting used to this. And then we were off, hurtling down an amazingly smooth road for such a remote area. We made good progress amidst bizarre geological formations, far-flung back country farming stations, and an abundance of amazing vistas. 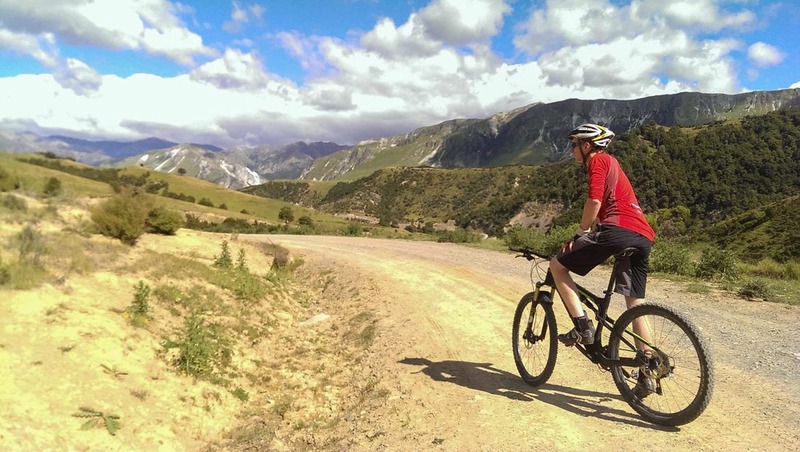 The azure coast twinkled behind us and the great Kaikoura mountain ranges loomed ahead. The descents were inevitably followed by uphills, but they weren’t overly arduous. Although we didn’t, we could have asked Will to ferry us to the top of any ascent. We did take a lot of breaks though, with our host being happy to take the photos and regale us with entertaining tales of the land and its people. It was all very relaxed, but at the same time there were those exhilerating descents to keep the adrenaline flowing. Will & Vix tootled off ahead but we caught them again at Mead Stream. We normally speed through such stream crossings in a spray of water with no backward glance, but not on this trip. Will was waiting to show us some ancient fossils, rocks ridden with primeval patterns caused by leaves, worms and crustaceans. Not far upriver is the K-T Boundary, a sedimentary demarkation between the Cretaceous & Tertiary periods. Scientists believe this layer signifies earths most recent cataclysmic event – an asteroid, 65 million years ago, hurtling into North America and wreaking all types of havoc with the planet. And subsequently resulting in our cycle tour’s title – The Demise of the Dinosaurs. We continued onwards, and to my delight another mystery was soon uncovered. For the mighty Tapue-o-Uenuku, who’s top had been enshrouded until now, had finally given us a glimpse of her colossal crown. Gazing at NZ’s highest peak outside the Southern Alps, I felt tiny amidst the vast and imposing landscape. Yet this was a moment to be savoured. Fantails and bellbirds darted, and we glimpsed a red deer vanish into the trees. What was it like here when Will’s fossils were alive? Did fantails frolic amongst fearsome Tyrannosaurs Rex? Was Tapue-o-Uenuku still shaped as she was today? What was the chain of events that finally finished off the dinosaurs? Much remains unanswered yet we were content with our day’s adventures and had reached the perfect turn around point. It was a real treat to get chauffeured back out. We could enjoy the landscape without fear of riding off the road. I couldn’t believe how far we had cycled, proof of a thoroughly enjoyable day on the bike. And I also couldn’t believe how much I had learnt. The dinosaurs may be no more but there will always be mysteries around the corner, surprises – opportunities to explore and extend our knowledge. Sometimes all it takes is an expedition into the unknown to get there.